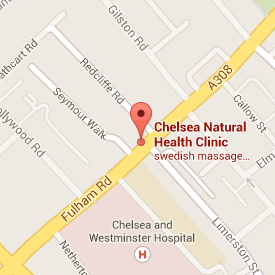 advised by Jan Murphy MRSS at Chelsea Natural Health Clinic, Fulham Rd., SW10. Jan Murphy MRSS, Shiatsu Practitioner & Bodyworker shares some tips about Spring Nutrition and recommends that you work with the seasons’ to keep yourÂ body working to it’s optimum. Macrobiotic diets are guided by changing seasons, by climate. Yin and Yang, cold and warm weather and, therefore, foods are used to establish adaptability with seasons. Spring introduces a change from the chill of Winter (Yin) that progresses toward Summer’s heat (Yang). Macrobiotic food selection will reflect these climactic shifts.The base of macrobiotic menu for all seasons are whole grains, supplemented with seaweeds, vegetables, fishes, all kind of seeds and wild growing herbs. Drink clear water or vegetable broth.Buy organic whenever possible. Indulge in macrobiotic foods that resonate with Spring. Spring is a time to plant seeds, so prepared young nettles,dandelion and daisy leaves, germinated alfalfa and watercress, sorrel, cereals and legumes. In early Spring, when the weather still can be cold, it is acceptable to eat wintry foods, such as meats, eggs, fats, seeds and nuts. But, as the weather warms, discontinue these foods. Heated foods now give way to crisp and cooling dishes. Enjoy miso soup in every season and is refreshing in Spring.. Miso is a fermented bean product that provides a wide variety of enzymes and bacteria friendly to the digestive system and helps food absorption. Miso contains proteins, phyto-nutrients, vitamins and minerals, especially calcium. Add miso to soups, and as seasoning or to flavour sauces. Your local whole foods grocer can help you select from a variety of miso products. Turn your face into the sun and to turn away from stews and squash. The seasonal doors swing wide open to an array of fertile Spring foods that lighten the step into the sun and blooming delight of Spring. Spring foods represent lighter foods that shift from the heavier diet in Winter. Spring rolls can incorporate an array of macrobiotic foods and are delicious and filling. There are menus and recipes for every season. The effort is worth it. With fresh fruits and vegetables shipped to all regions of the world, people no longer are encouraged to eat according in harmony with their environment. As a result, according to macrobiotic practitioners, people have lost their ability to adapt to their changing immediate environment and are more prone to illness. Macrobiotic eating is a path to live a life of balance within one’s self and with one’s world.